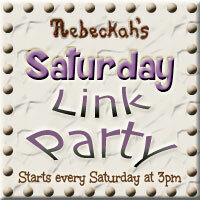 Welcome to Rebeckah's 3rd Saturday Link Party! Starting Saturday mornings and lasting through until Monday, link up your current projects, WIPs or free patterns to share with us. Then, visit your favourite links and say hello! Start voting for your favourites from Monday thru to Friday. 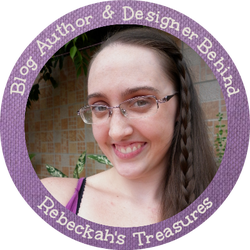 Top favourites will be featured in next weeks link up, and all of you will be shared on my social platforms. Let's see who our Top Picks from last Saturday were... Then, lets get this party started! The most visited link from last week was this incredible "Mr Hump...Pan Foch" by the talented Lalka Crochetka. This uniquely clever design is so full of character and originality! Plus, the zippered mouth makes a great hiding place for small secrets. Personally, I just love this adorable guy because he makes me smile. Thanks so much Lalka for sharing him with us! *Click on the project title to be directed to this project. Next, we have this stylish "Penelope's Beach Beanie" by Celina of Simply Collectible. This superb design is available in all sizes from newborn to adult, and works up fast. Personally, I am loving this colour combo, and the stitching is really neat. Thanks so much for sharing this project with us Celina! *Click on the project title to be directed to the free pattern. Lastly, we have this precious "Crochet Shell N Chains Scarf" by Erangi of Crochet for you. Use any yarn weight you like with this easy, yet incredibly sweet project! Personally, I adore the shell stitch, and this hot pink adds such a sweet touch to this project. Thanks so much for sharing this project with us Erangi!